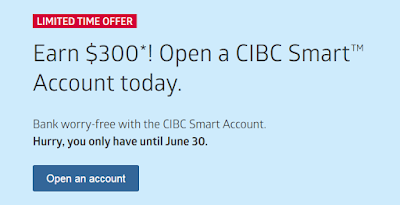 You can Get $300 when you open a CIBC Smart Account before Jun 30. You can do the application online. It only takes a few minutes to open an account. 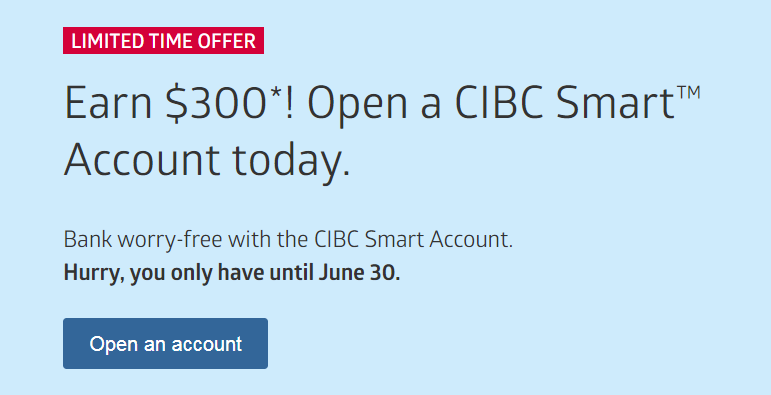 Open a new CIBC Smart Account before June 30, 2018. Complete a direct deposit or 2 pre-authorized payments within 3 months.